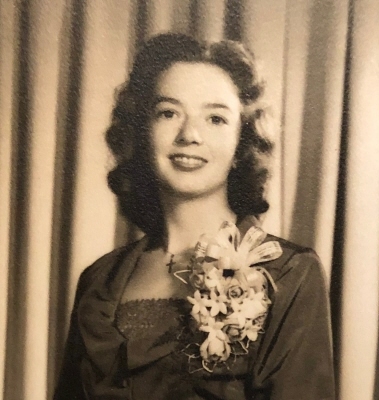 As we celebrate the life of Lois Vida Hall Horak who went to be with the Lord on April 6, 2019. Lois is reunited with her husband Fred, & daughter Anne. Lois enjoyed life and had many roles. Most important of these roles were being a wife and mother. Lois was born September 16, 1930 in Westfield, Mass. Lois’ life entailed being married to Fred for 65 years; Lois gave up the stage & singing to marry Fred. Being a mother to Anne & David; faithful church member & singing solos. Getting together with family & friends to go bowling, fishing, & golf. Lois was a mother-in-law to Bob & Joanne. Grandmother to Robert, Nicole, Jenny, Vanessa. Great grandmother to Madeline, Eric, Sadie, Constant, Mark, Sophia, Adin, Xavion & Tavin. Great grandmother to Keiran. As a tear flows for Lois we celebrate her new life in heaven where she is singing as our Father God’s heavenly angel. To send flowers or a remembrance gift to the family of Lois V. Horak, please visit our Tribute Store. "Email Address" would like to share the life celebration of Lois V. Horak. Click on the "link" to go to share a favorite memory or leave a condolence message for the family.